Hey everyone! I know it's early, but this is about the time of year in which I kick into full on holiday crafting mode. Today I'd like to share with you the salt dough ornaments that I made last year for everyone in my family. Not only did they serve as ornaments, but I also used them to label everyone's gift, so they also served as gift tags! These little guys are so easy to make and very versatile so they can fit any theme that you would like. Mix flour and salt in a bowl. Gradually add water while stirring with your hand. Knead the dough until it reaches a nice soft consistency. 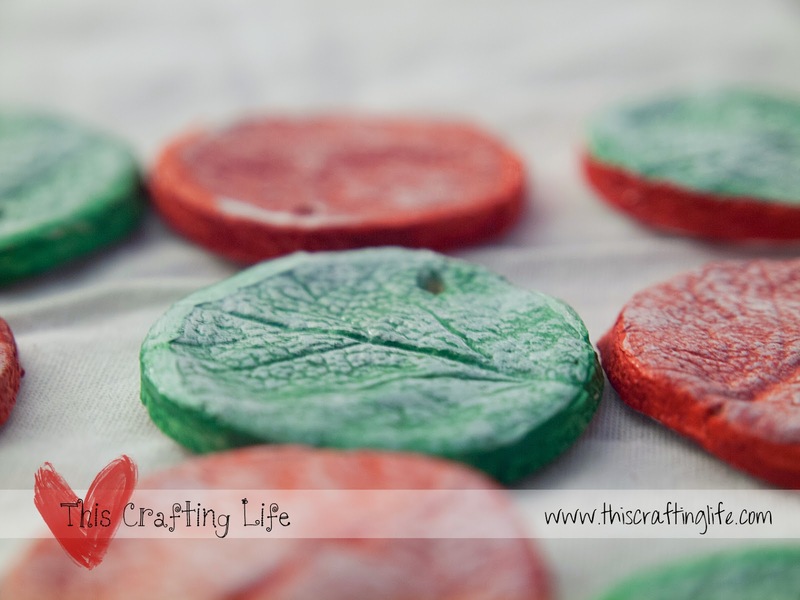 Roll the dough out (I recommend that you keep it thin- less than a half an inch and much closer to a quarter inch- to help maintain the integrity of any design, as it can bubble during baking if it gets too thick) and use cookie cutters to cut into shapes, or create the shapes yourself! 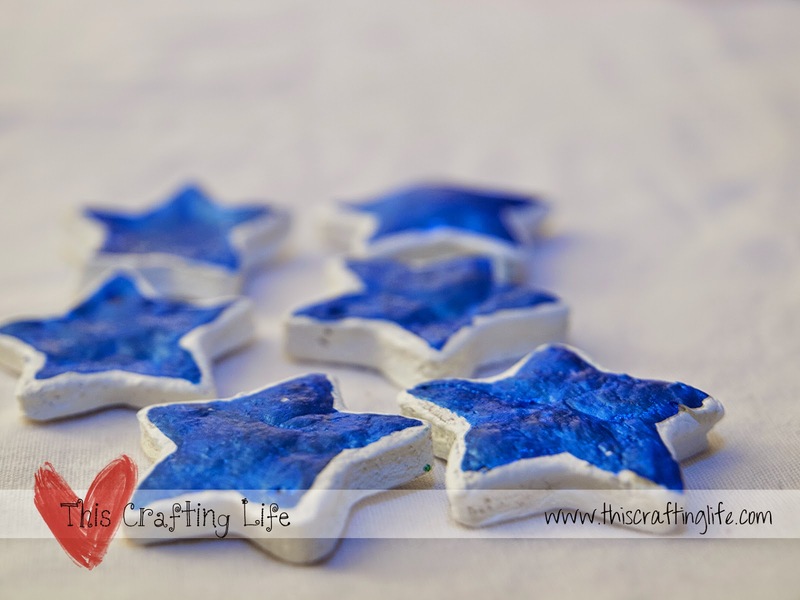 For mine, I used a small glass to create the circles, and a star cookie cutter to create the stars. When you have all your dough cut, take a skewer (toothpick, or other small pointy object) and poke a hole through for your string to create a hanger later. 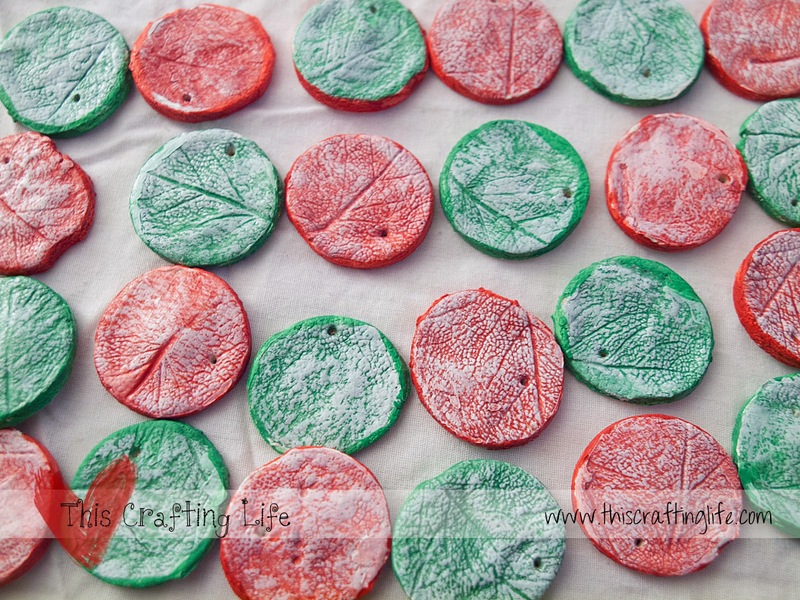 For my circular ornaments, I took a leaf and pressed into each circle to create a leafy texture. When you're done shaping and designing your dough, place on a cookie sheet in a 200 degree oven and bake for anywhere from 30-60 minutes. You'll know they are done when they are firm and might even be starting to brown. Let your creations cool and then let the decorating begin. 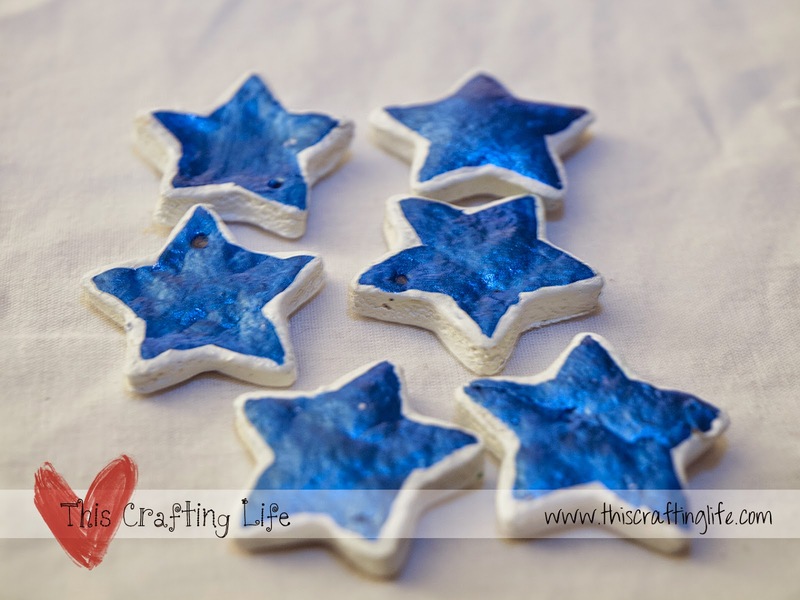 For my stars, I first painted them white with a basic acrylic paint and let that dry. I then painted metallic blue acrylic paint on one side of the star, and wrote the recipients name on the other side. For the circles, I painted them red and green, and let that dry. Then I came back and lightly sponged on white to give them a textured look and to add definition to the leafy prints. Then I wrote the recipients name on the back side. Tie a piece of string through the hole you made and you've made yourself a pretty ornament/gift tag!